The legendary Remington Model 700. With more than 5 million sold since 1962, it's carved a reputation for itself out of the sporting landscape of America. 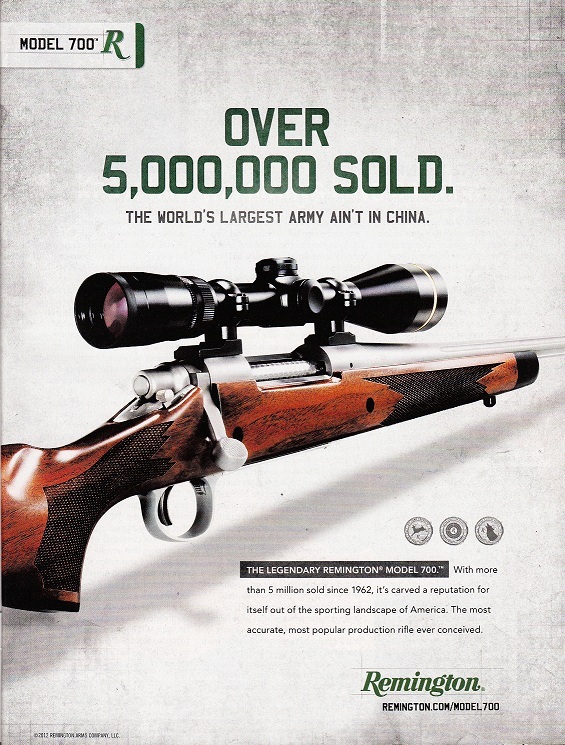 The most accurate, most popular production rifle ever conceived.